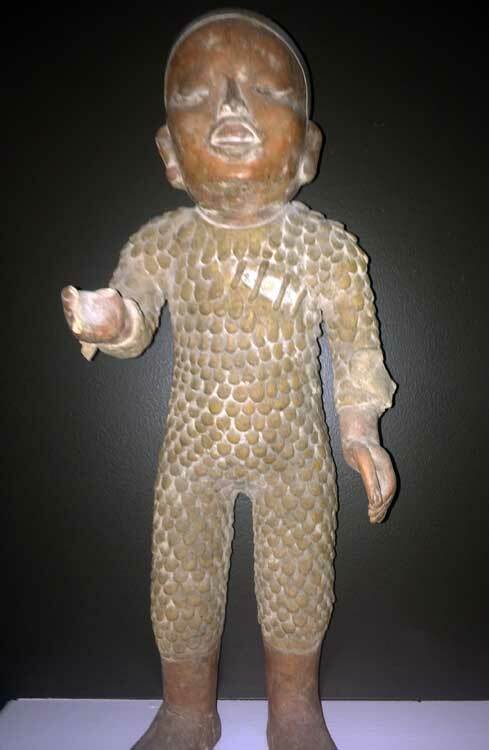 I found this statue about 20 years ago while travelling off the beaten path in Mexico in a small village. Without doubt this is a statue of Xipe Totec, Aztec god of spring and fertility. Please see our entry on this deity in our section ‘Aztec Gods’. It would be very interesting to know more about this statue and its provenance: do send more details...!